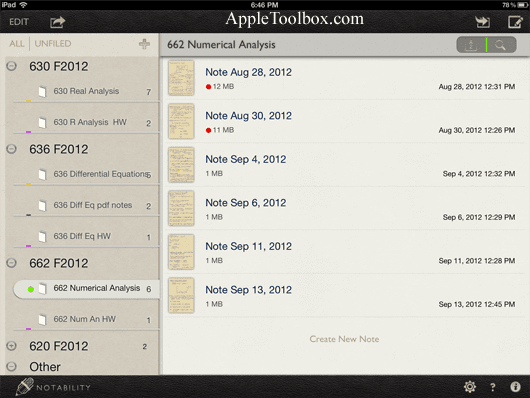 As a graduate student, I use my iPad for taking notes in my classes. 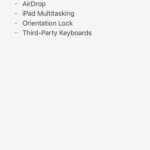 I have tried 3 different note taking aps and have found Notability to be my favorite for its functionality, note organization system, and ability to detect my stylus. 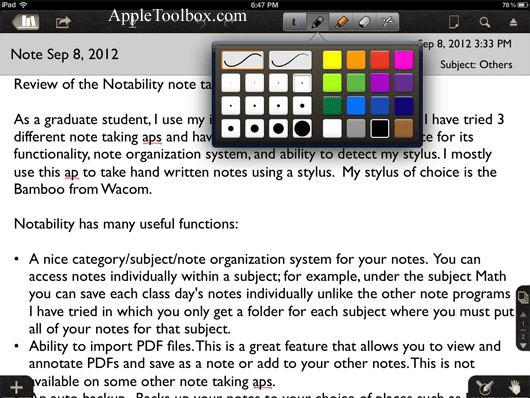 I mostly use this app to take hand written notes using a stylus. My stylus of choice is the Bamboo from Wacom. 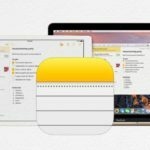 A nice category/subject/note organization system for your notes. You can access notes individually within a subject; for example, under the subject Math you can save each class day’s notes individually unlike the other note programs I have tried in which you only get a folder for each subject where you must put all of your notes for that subject. 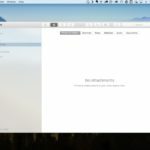 Ability to import PDF files. 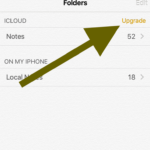 This is a great feature that allows you to view and annotate PDFs and save as a note or add to your other notes. This is not available on some other note taking aps. An auto backup. 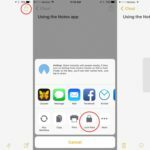 Backs up your notes to your choice of places such as Box or iTunes so not only do you know your notes are safe but they will be accessible from other devices. 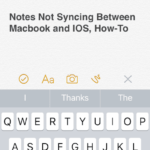 An audio record feature that allows you to record sound while taking notes and links the two. 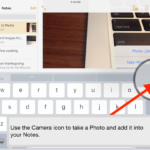 Ability to hand-write or type your notes including auto-spell correction and search feature when you type. 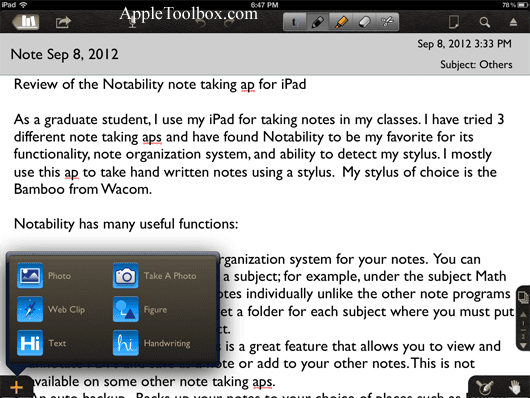 Export your notes via email in PDF format. 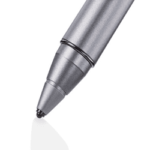 There is a zoom box you can write in which allows you to write smaller and neater, and the program picks up the stylus well so your handwriting looks good using this program. Good paper choices: 15 colors plus the ability to use plain, lined or grid paper. 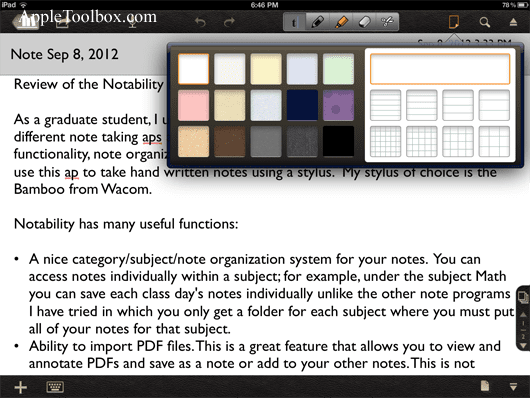 If you are a student, taking notes with a program like Notability can be a great alternative to paper and pen notes. The program only costs $0.99 at the ap store (iTunes link – Web site).